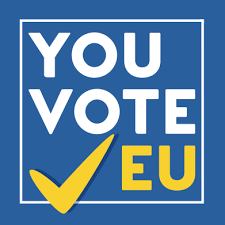 YourVoteMatters.eu is a multilingual digital platform, designed as an innovative communication tool between the 2019 European elections’ candidates and their electorate. The platform is now available in Bulgarian, Czech, English, French, German, Greek, Hungarian, Italian, Polish, Portuguese, Romanian, Slovak, Spanish & Swedish. The platform is developed by a consortium of five European organizations, composed of: Riparte il Futuro (Italy), VoteWatch Europe (Belgium), European Citizen Action Service (Belgium), Vouliwatch (Greece) and Collegium Civitas (Poland) with the aim of enhancing the dialogue between all the actors involved in the next round of elections (politicians, political parties, citizens, organizations and stakeholders). It includes the following sections and tools, each of which is explained in more detail on the main page of each section. This section consists of a series of policy debriefings referring to the latest political developments in the European Parliament electoral campaign. It also keeps you informed about the phases of this special online project. By voting on 25 key issues on which Members of the European Parliament (MEPs) have also voted over the last five years, you can find out which sitting MEP or new candidate most closely matches your views. We selected 25 votes which have generated a lot of discussion, both inside and outside the European Parliament. Our selection is by definition subjective. In order to make this tool easy to use and understand, we have simplified the titles of the votes. For a full explanation and understanding of the votes, users should refer to the VoteWatch Europe website , and to the full text of the proposals that were voted on. For sitting MEPs, the 25 answers are based on their public voting record. New candidates are included once they have completed an online questionnaire containing the same 25 questions. Only new candidates who have completed the questionnaire are included in the tool. If you are a candidate who would like to be included in the tool, please contact us. – What organizations say – the EU-wide and national stakeholders’ stands are systematically highlighted through a couple of tools: standard profiles section and a proposals button where they can express thoughts, concerns and questions with regards to the candidates’ manifestos. The section shows you what the result of European Parliament votes on 25 key issues would have been if all users of this website had voted on them instead of MEPs. We also give you a chance to create your own scenario by allocating seats to each party based on your own prediction of the election result. This project is funded by the European Union’s Justice Programme (2014-2020) / Rights, Equality and Citizenship Programme (2014-2020). The contents of this website are the sole responsibility of implementing beneficiary and can in no way be taken to reflect the views of the European Commission.